Amazon may upend another industry without even launching a product. CVS Health (CVS) is said to be in talks to acquire Aetna (AET) for $66 billion in a blockbuster merger that could reshape the health insurance industry. And one of the factors rumored to be driving the deal is Amazon (AMZN, Tech30). The Wall Street Journal reports the merger is at least partly intended to guard against the threat of Amazon entering the pharmacy market. Both CVS and Aetna have declined to comment on the rumored deal. In recent months, there has been a drumbeat of reports about Amazon's interest in selling prescription drugs as part of its bottomless ambition to offer every consumer product and service imaginable. As analysts at Goldman Sachs put it in one investor note this summer, "Imagine a day when you can ask Alexa to have your Lipitor refill arrive at your doorstep in under two hours." It may sound like a stretch for a company that started as an online bookseller. But Amazon now owns the Whole Foods grocery chain and is testing its own corner stores. It also offers one-hour delivery in certain markets. That potentially puts it in a strong position to deliver prescription drugs online and offline. On an earnings call in August, CVS CEO Larry Merlo tried to play down the threat of Amazon as a competitor. Related: Are prescription drugs the next target for Amazon? "There are many barriers to entry when you're looking at pharmacy," Merlo said on the call. "It's highly regulated, so the barriers to entry are high." Amazon may be scaling those barriers, however. On Thursday, the St. Louis Post-Dispatch reported Amazon had gotten the green light for wholesale pharmacy licenses in at least a dozen states. Amazon's "speculated entry into the Drug Value Chain is becoming more real with wholesale pharmacy licenses," Ana Gupte, an analyst at Leerink, a boutique investment firm focused on the health care industry, wrote in an investor note Thursday. Gupte said Amazon posed "a massive threat to CVS" at a time when it's struggling to get enough foot traffic into its stores. Asked about its plans on an earnings call Thursday, Amazon CFO Brian Olsavsky said he "can't confirm or deny any of the rumors related to pharmacy." If the rumors are true, it certainly wouldn't be the first time Amazon disrupted a market with little more than a rumor. All it took was a whisper of Amazon's interest in meal-kit delivery services to shatter Blue Apron (APRN)'s stock this year. 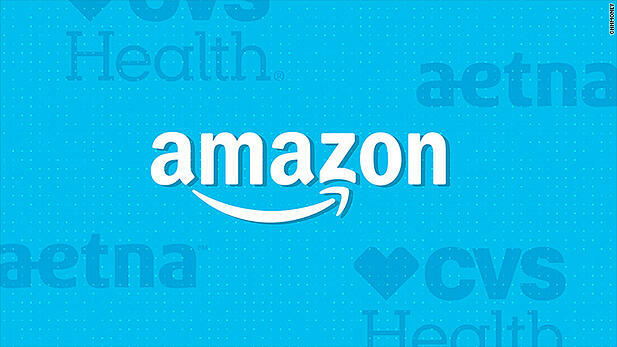 One analysis found Amazon was mentioned on more than 100 earnings calls last quarter, including the CVS call, as businesses and investors weigh the "Amazon effect" across a wide range of industries. For Amazon, "every new opportunity represents a $500B-$1T market, including food/restaurant and pharmaceutical," according to an investor note Friday from James Cakmak, an analyst with Monness, Crespi, Hardt. New LIMRA researchService Channels finds 37 percent policyowners went online for service in 2017, 23 percent higher than in 2014. The study found that 74 percent policyowners said they would go online for service in the future, twice as likely as today in 2017. While more policyowners are interested in going online to get help with their policy, they expect to have many options to access service. Nine in 10 policyowners said they want to be able to speak to a financial professional and three quarters say they want to contact the company directly via phone or mail. 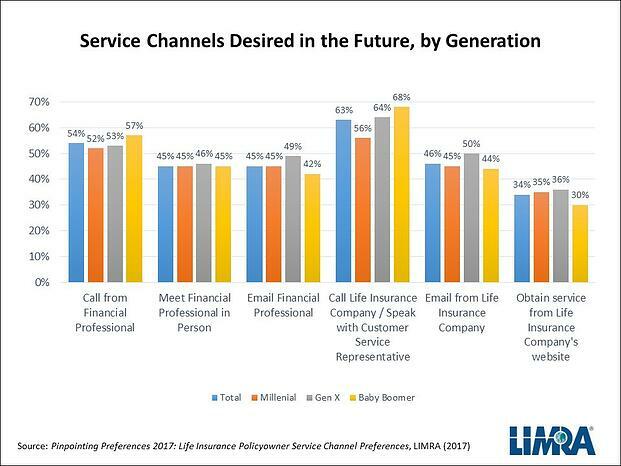 LIMRA found, overall, that meeting a financial professional and calling a life insurance company to speak with a customer service representative are still the most chosen service channels at 44 percent and 45 percent, respectively. The policyowner’s generation also played a role in their use of service channels. The research shows Millennial policyowners (born between 1981 and 1995) are most likely to use the most service channels and are most likely to use digital channels (such as email, websites, text, chats and mobile devices) to connect compared to older consumers. Research shows the types of transactions influence which service channel policyowners used. Simpler transactions, such as setting paperless preference and obtaining general information, were more likely to be completed online; while the policyowners were more inclined to talk to someone when they conducted more complex business, like changing their policy face amounts. Policyowners used mail or email more often when they completed services that require documentation such as name or beneficiary changes. For more information on the way consumers interact with service channels, LIMRA members can read, Pinpointing Preferences 2017: Life Insurance Policyowner Service Channel Preferences. 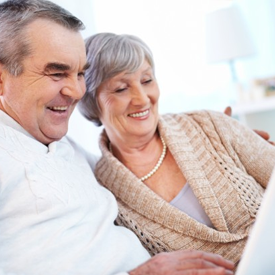 As Medicare companies finalize sales and marketing strategies, they analyze data from Medicare Plan Finder (MPF), an online tool that makes it easy for seniors to review options and shop for new Medicare plans. 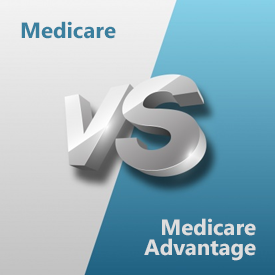 Medicare Benefits Analyzer™ (/products/Medicare-Benefits-Analyzer.aspx), a Mark Farrah Associates' database, helps simplify the analysis of the Medicare Plan Finder data for companies competing in this segment. 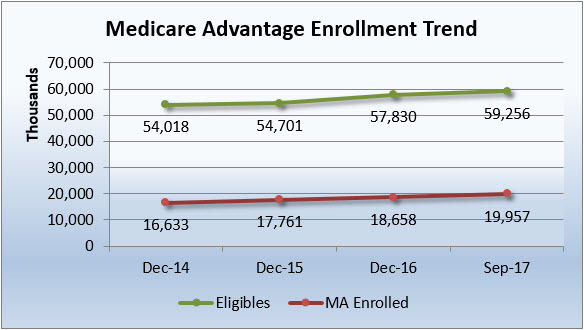 This brief presents a snapshot of the 2018 Medicare Advantage market with insights from the Centers for Medicare and Medicaid Services (CMS) Medicare Landscape reports and discusses the plans that will be vying for business during the upcoming AEP. Between October 15th and December 7th, MA plans, along with stand-alone PDPs (prescription drug plans), will be immersed in competitive assessments as beneficiaries begin to choose plans that best fit their needs. According to CMS, Medicare Advantage average monthly premiums will decrease by $1.91 in 2018, plan offerings will increase and enrollment is projected to experience 9% growth, as compared to 2017. Medicare Advantage enrollees remaining in their current plan will have the same or lower premium for 2018 and there will be more plans offering zero out-of-pocket premium payments for members. 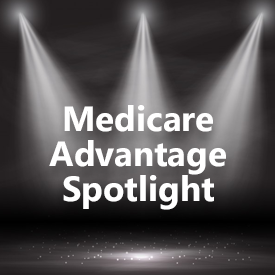 Based on an aggregate analysis of CMS Landscape reports, a total of 3,259 distinct Medicare Advantage (MA) plan offerings are in the market lineup for the onset of the 2018 AEP. During the AEP, Medicare beneficiaries can choose to change MA plans or switch from Original Medicare to MA, and plan benefits will become effective on January 1, 2018. MFA's analysis of CMS landscape data found a total of 2,619 distinct MA plans being offered for 2018, including Medicare/Medicaid plans, up from 2,311 this year. In addition, a total of 640 Special Needs Plans (SNPs) are available in 2018, up from 589 in 2017. HMOs continue to be the most prevalent plan type with over 2,300 offerings, representing 71% of all MA plans and SNPs being offered for next year. Stand-alone PDPs nationwide increased for 2018 with 795 plan offerings, as compared to 757 plans in 2017. The 2018 Medicare Advantage market is comprised of national health plans, Blue Cross Blue Shield organizations, prominent regional health plans and specialized Medicare companies. 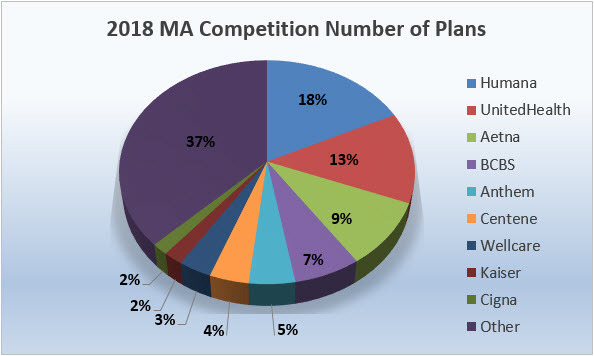 Based on the 2018 CMS Landscape reports, Humana continues to market more MA plans nationwide than any other company with 466 distinct plans identified in MFA's assessment. UnitedHealth continued to increase its MA plan offerings for the 2018 calendar year with 344 distinct plans identified, up 62 plans from last year. Aetna (including Coventry and other affiliates) is offering 251 plans for 2018. Anthem and the vast majority of other Blue Cross Blue Shield plans as well as Cigna, WellCare, Centene and Kaiser also continue to have a notable plan offerings presence, respectively.